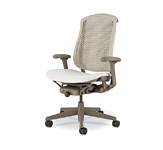 Herman Miller Sayl Home Office Chair - Ergonomic Seating Sayl Chair by Herman Miller. 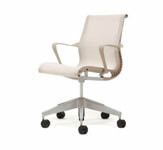 NEW SAYL CHAIRS are NOW HERE! People at their best live unframed, going beyond expectations to surprise and delight us. 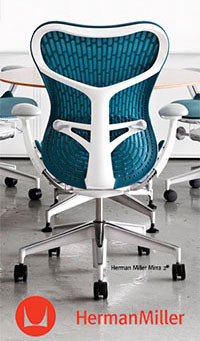 With SAYL, we set out to design and build a chair family that gives form to that spirit. 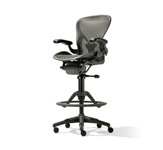 Inspired by the principles of suspension bridges, the frameless back of the SAYL work chair encourages a full range of movement while the suspension back material keeps you cool�all with an extremely small environmental impact. 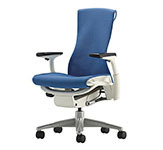 It is everything a Herman Miller chair should be. At a very attainable price. 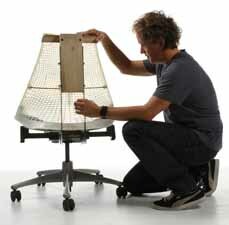 Sayl Chairs can only be shipped within the U.S.A. Fixed Arms, Seat Depth & No Forward Tilt. Adjustable Arms & Seat Depth. No Forward Tilt. Adjustable Arms & Seat Depth. Forward Tilt & Lumbar. We asked designer Yves B�har to design a highly affordable chair that would incorporate everything Herman Miller is known for�beautiful design, first-class ergonomics, elegant engineering, and respect for the environment. B�har, who calls San Francisco home, began by looking at designs that deliver the most with the least. And then he took a look at his city's best-known landmark: the Golden Gate Bridge. 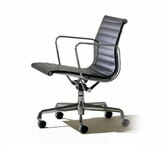 We designed a whole family of SAYL chairs, including work and side chairs. All with the same high style and innovative engineering. 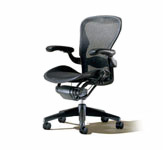 Work chairs feature a 5-star base and upholstered seat with either a suspension or upholstered back. Side chairs feature either a 4 leg or cantilever base and upholstered seat with your choice of suspension, upholstered, or plastic backs. 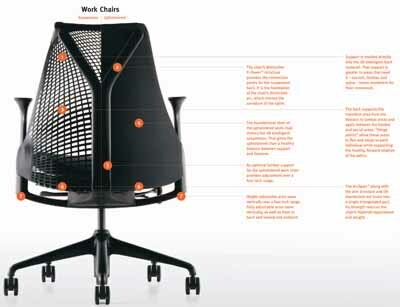 In creating SAYL, we used fewer materials in inventive ways to make the chair attainable for more people. Fewer parts and less material ultimately mean less cost and a smaller carbon footprint. As affordable as it is inventive, SAYL disproves the notion that a reasonably priced chair means offhand design and minimal ergonomics. 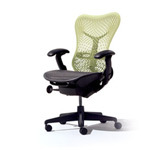 From the beginning, our goal was to make a high-quality, beautifully designed, comfortable chair that lived up to our standards and was also affordable. SAYL is that chair.